For those not in the know, Net Neutrality is simply a proposal that ISP and government regulators should treat all data on the Internet as the same to prevent broadband companies from favoring their own content over competitors', passed by the U.S. Federal Communication Commission (FCC). While such discrimination can be based on user contents, platform or application type, and includes all of the different messages, files and data sent over the Internet, like emails, digital audio files, and digital video files. The regulation has been controversial because the FCC in 2015 changed the classification of broadband to treat the service like a public utility. Facebook and Google, however have thrown their weight behind preserving the Federal Communications Commission's controversial net neutrality rules, as the tech giants have said they will join a so-called "day of action" on July 12, which aims to preserve rules that forbid Internet providers from favoring some websites over others. Other companies and activist groups signed on to the protest, which are trying to drum up support for the regulations include Amazon, Netflix, Twitter, Spotify and the ACLU. Until now, Google and Facebook had stayed off the public debate, albeit the duo are staunch supporters of net neutrality. The protest slatted for next week is the latest attempt by Silicon Valley and its allies in government to thwart the Federal Communications Commission, as they sought to undo the regulations that prevent ISPs like AT&T, Comcast* and Verizon from interference in serving web contents from their competitors. 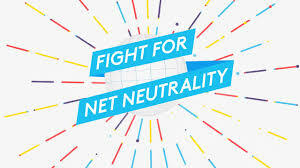 However, it remains unclear whether next week's campaign, organized by a group called Fight for the Future, will be enough to sway the FCC's proposal to revoke net neutrality. Net Neutrality: What's the controversy in keeping the Internet free?